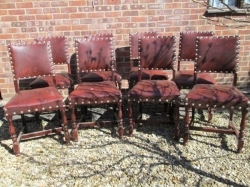 A great set of eleven chairs that can be restored to your own taste and style. 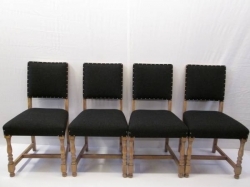 Constructed from solid beech wood with turned legs and stretcher rails. 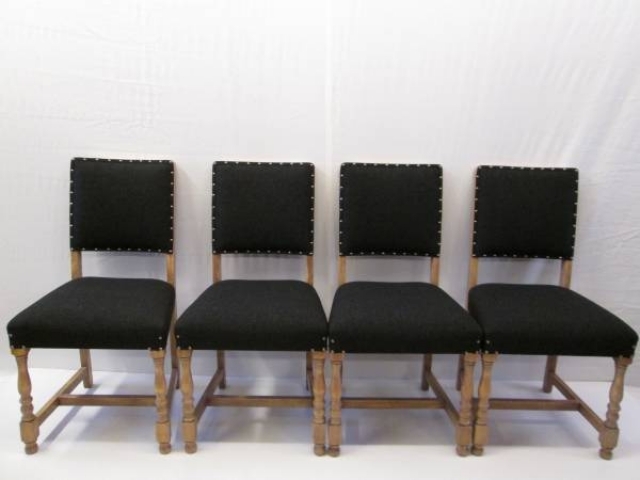 The second picture shows the chairs fully restored and re-upholstered in a Scottish woolen tweed fabric, now being used and enjoyed by a previous customer. 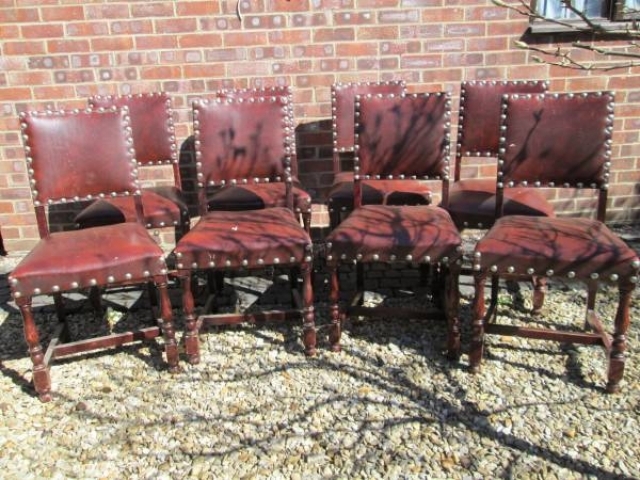 Just one of the many transformed chair examples from Chairs of Oxford. Dimensions - height 89 cms, width 46 cms, depth 46 cms.